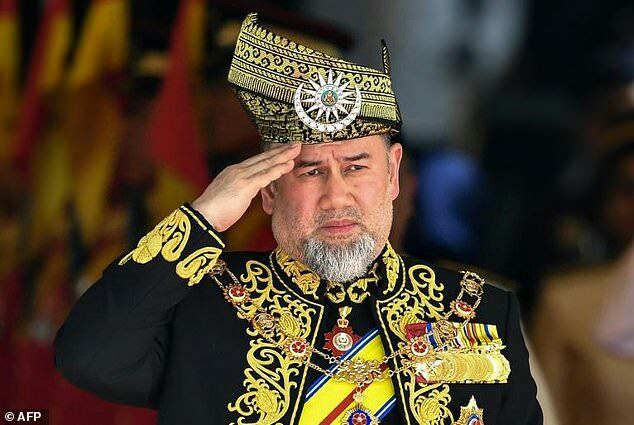 Malaysian King Sultan Muhammad V has abdicated after just two years on the throne. 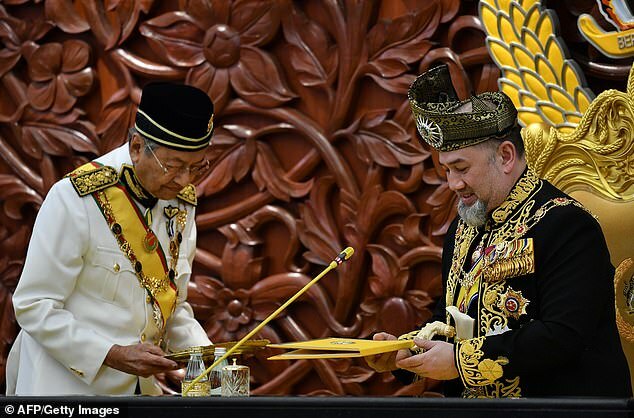 The palace said in a statement this morning that the 49-year-old Sultan had resigned with immediate effect, cutting short his five-year term. No reason was given in the statement for the abdication, which is the first in Malaysia’s history. He married former Miss Moscow Oksana Voevodina, 25, in a lavish ceremony in November after she converted to Islam. 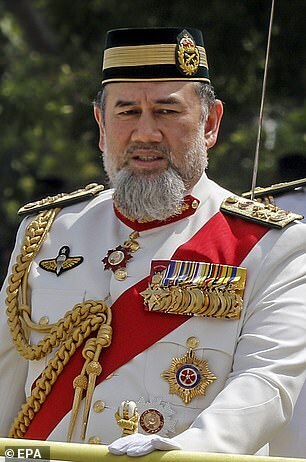 Under a unique system maintained since Malaysia’s independence from Britain in 1957, nine hereditary state rulers take turns as king for five-year terms. It comes after weeks of speculation about his future after he took a leave of absence and amid rumours he married a Russian former beauty queen. There had been a question mark over the reign of the king since his leave of absence ‘for medical treatment’ in November.